A quick card this one. 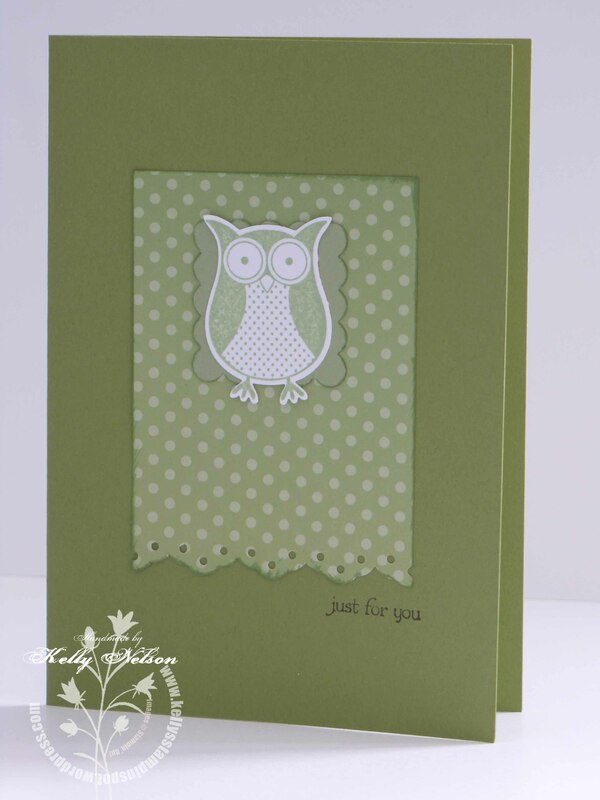 Monochromatic – pear pizazz with the two-step owl punch and the Punch Bunch Sale-A-Bration owl. So, so simple – this card is easily less than 10 minutes to pop together. This little number is based on many I’ve seen around the blogs featuring the owl, a scalloped stamp and some pretty colours.